At Automatic Spring Products Corp., we’re all about BHAGS – Big Hairy Audacious Goals. In fact, for over 10 years, our BHAG has become the driving force for innovation, growth, and positive change across our entire organization. Here’s how we developed a BHAG in 2006 and how it has completely revolutionized ASPC since then. But first, why did we decide to use a BHAG in the first place? And what is a BHAG? The concept of a “BHAG” was originally defined by James Collins and Jerry Porras in their 1994 book, Built to Last: Successful Habits of Visionary Companies. They describe a BHAG as a “powerful mechanism to stimulate progress” and a “bold mission” for change. And BHAGs bring major success to organizations. For an example of what a BHAG looks like, Collins and Porras point to the 1960s mission to the moon. A little over eight years later, the U.S. accomplished this BHAG when Neil Armstrong became the first human to walk on the moon on July 20, 1969. You can’t really argue with an achievement like that. So, when we were identifying ways to grow and improve as a company during strategic planning sessions in 2006, we quickly decided on using a BHAG as our approach to innovative our company. After all, if a BHAG could land a man on the moon, who knew what else it could do? What BHAG did we choose? How has this BHAG changed ASPC? We didn’t just make a BHAG during that planning session; we decided to use this BHAG to completely change the way we operate, expand, and serve. Our BHAG is our motivation for anything we do – the purpose behind any changes we have made or opportunities we’ve explored. It is the reason we have grown so much in the past few years… and our vision for the future. After defining and agreeing on our organizational BHAG in 2006, we started implementing this strategy in 2007. And since then, we’ve achieved some pretty exciting innovations in our company. ASPC’s BHAG has inspired innovation in our organization and motivated us to implement positive change companywide. We’re only 11 years in our timeline, and we’ve already achieved more than 11 new products and processes. Maybe we won’t land someone on the moon, but who knows what the future will hold? More innovations that we can only begin to imagine. 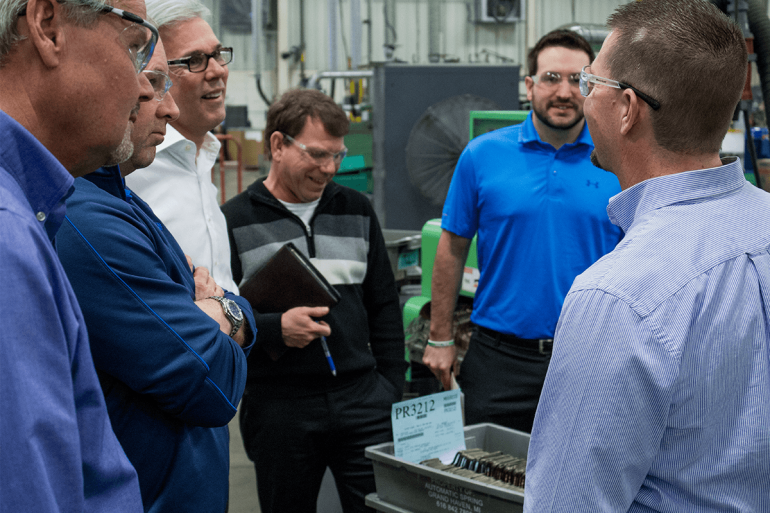 If you would like to learn more about our BHAG Innovation Strategy and 11 new products and process offerings we have introduced since 2007, give us a call – (616) 842-7800.